It’s time for another St. Patrick’s Day Get Shamrocked party, Ft. Lauderdale. St. Patrick’s Day festivities won’t slow down this holiday weekend, and that means they’ll continue even after the bar crawls end. After Saturday’s Irish Stroll Day One, this party will kick off with spirited company, refreshing cocktails, and plenty of luck. Take advantage of drink specials and keep your glass full all night long as you dance, and celebrate good ol’ Ireland. 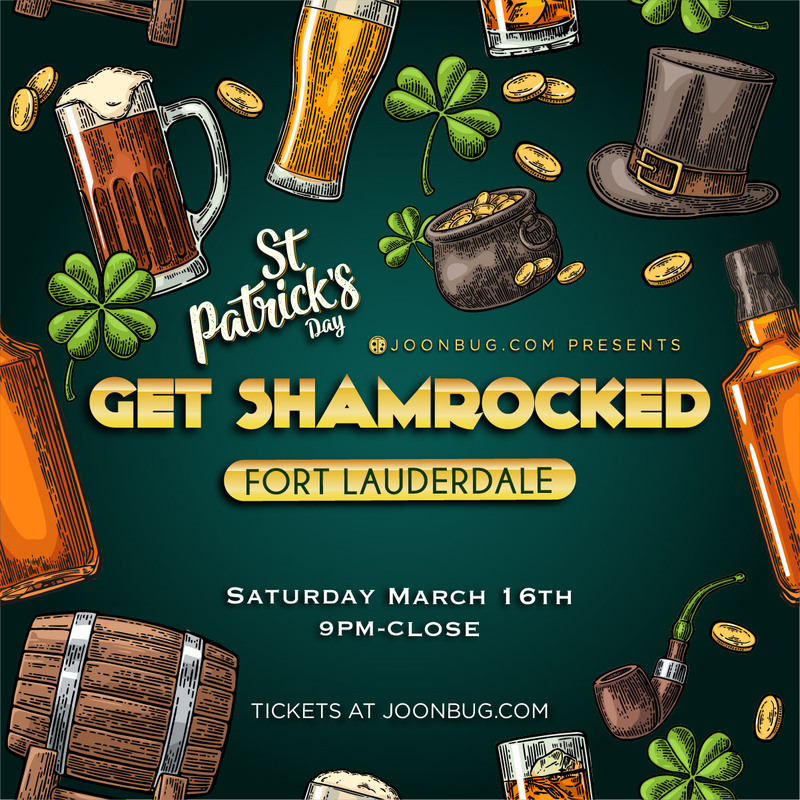 Tickets are on sale now to a high-energy and outrageously fun Ft. Lauderdale affair – all you have to do is show up in green.